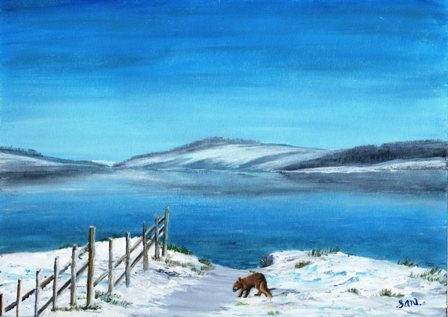 Showing Kielder water in winter. The cold, blue icy sky reflects on the still lake beloiw. On the snow covered earth, a lonely fox wanders, looking for food and shelter. Comes with a Certifidcate of Authentication on the reverse.